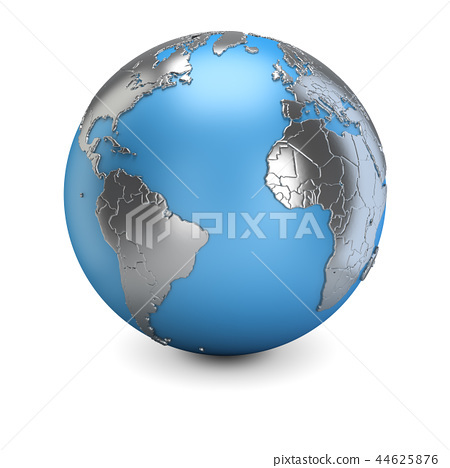 3d planet earth with metallic continents. 3d image. White background.